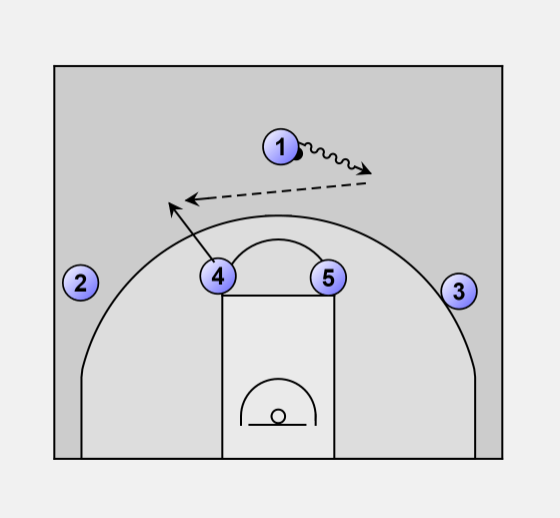 The point guard (1) initiates the play by dribbling to a side. The weak side post (4) pops out beyond the three point line to catch the entry pass. The strong side guard (2) immediately cuts back door, ending up at the weak side block. 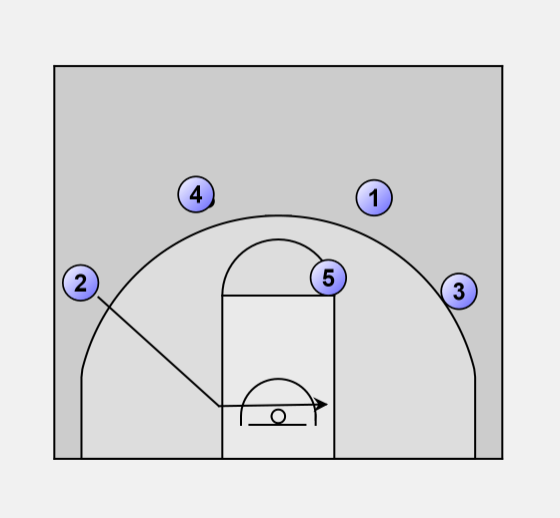 At this point, the post (4) has the option to take their defender one on one to the basket. If this move is not available, the ball is reversed to the weak side guard (3), who uses the screen from the point guard (1) to get open. The point guard (1) down screen for the guard (2). 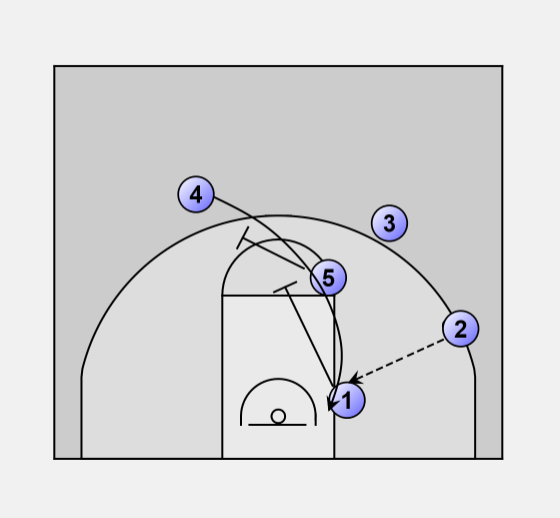 The ball is reversed to the guard (2). 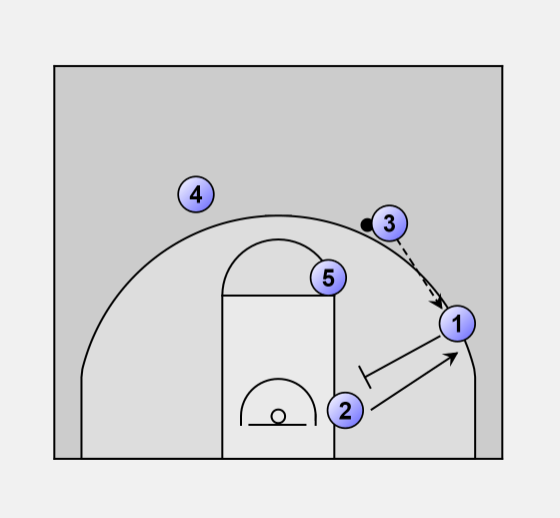 The strong side post (5) and point guard (1) set a staggered double screen for the weak side post (4). The second screen must be set high enough to clear the lane. The strong side guard (2) enters the ball to the post (4) on the move. If the defense switches on the screen, you should end up with the opponent's point guard on your post.